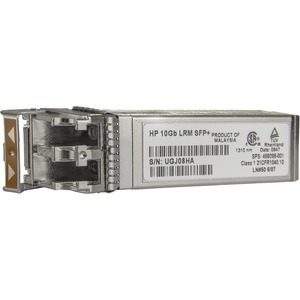 10Gb Ethernet transmission rate with SFP+ form factor. Transmissions are up to 300m on MMF (SR), up to 220 m MMF (LRM) and 10 km on SMF (LR). Low power consumption at <0.8W for SR, <1W for LRM and LR. Duplex LC connector.